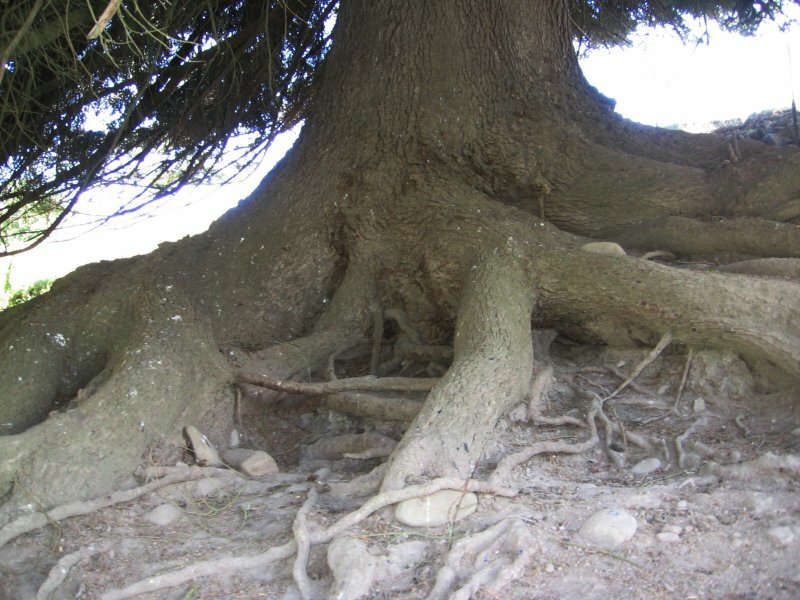 An impressive tree in its natural form with branches to the ground. 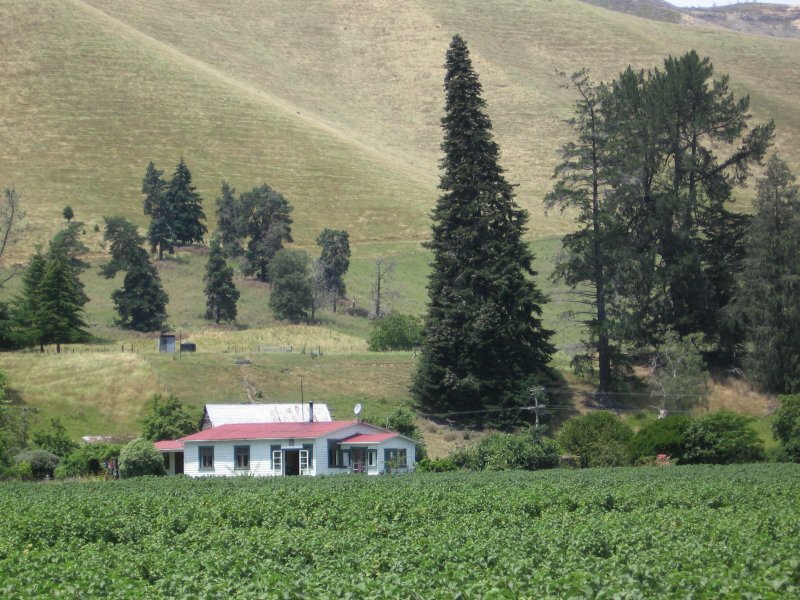 There are a number of other large exotic trees on this farm that may have come from the old Tapawera Forestry nursey site nearby. Livestock activity under the tree has exposed the large surface roots. Taken at .8 on top side due to steep grade and tree flare. In fine condition despite the activity of sheep at the base. An open grown specimen with branches to the ground. The tree has been wind pruned and leans to the north. 07 Sep 2010 Cadwallader, B.G. Turn right at the Kohatu junction and drive approx 4 km. The tree is visible 220m to the east on the hill behind the farm sheds. No public access.